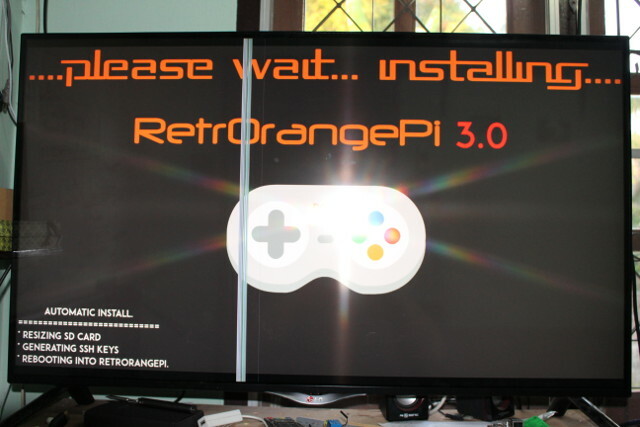 RetrOrangePi is a Linux distribution based on armbian transforming Allwinner H3 boards – mostly Orange Pi boards, but also Banana Pi M2+ and NanoPi boards – into entertainment centers to play retro games, and watch/listen media files (videos/music) using Kodi. If you don’t have a development board, or would prefer a complete solution with casing and power supply, Beelink X2 TV box is also supported. The developers had been recently working on rectifying some GPL issues, and they have released RetrOrangePi 3.0 images right before Christmas. New emulationstation-ROPI branch forked from jacobfk20 with gridview, on screen keyboard with easy wifi config and storage check with additional features added by ROPi team: display settings, OpenELEC / Desktop launcher and background music switcher integrated into main menu. Main server (http) – 1.6 GB compressed firmware image for your board. RetrOrange Pi is a non profit project. It consists of a basic Retropie setup with most Libretro cores on top of an Armbian Jessie Desktop version pre-installed. It includes an OpenELEC fork as well. selling a pre-installed RetrOrange image is not legal, neither is including it with your commercial product. As it relies on other people’s work with our own features, we won’t be offering any help in customizations to avoid rebranding or reselling. 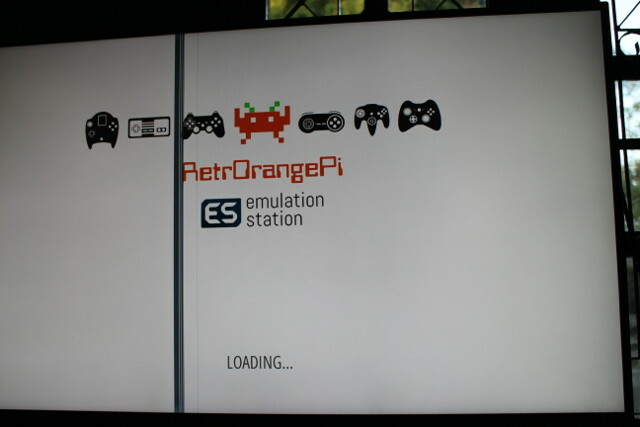 It will be interesting to see what happens with RetroEngine Sigma project on Indiegogo that is very likely based on RetrOrangePi image for Orange Pi Lite board. Replace sdX by your own SD card device in the 3rd command above. You can also do this in Windows with Win32DiskImager. 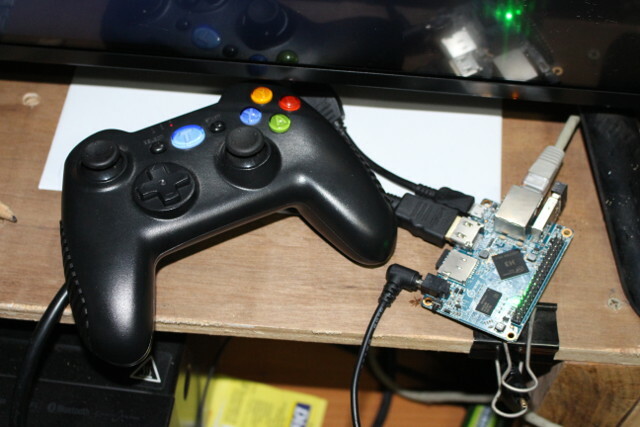 Once it is done, insert the micro SD card in your board or TV box, prepare a gamepad, and connect all relevant cables. Most people will just follow the instructions on the TV. We’ll get through a bunch of animation and logos during the boot.Note: Please ignore the vertical lines on the photos, as there’s just an issue with my TV. The first time the system will resize the SD card to make use of the full SD card capacity, and generate SSH keys. 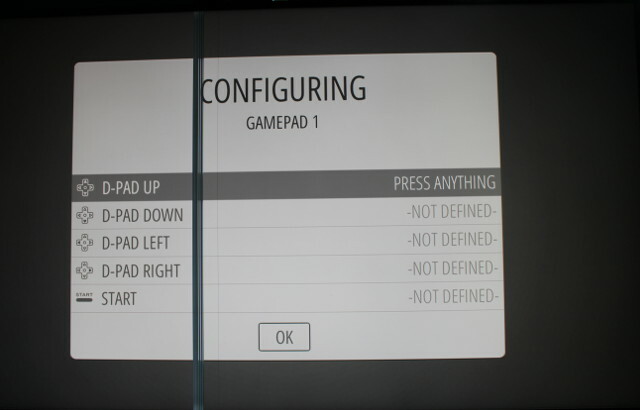 If you have connected a gamepad (highly recommended), you’ll be ask to configure the keys. Tronsmart Mars G01 gamepad was automatically detected, and I could easily set all keys up. 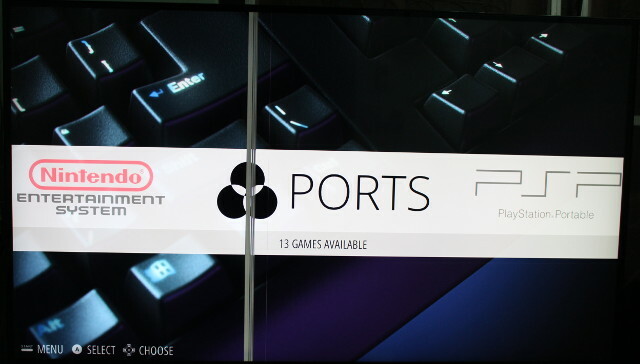 Once all is well and done, you’ll get to the main menu to select emulator or Kodi. I tested shortly tested Wolfenstein 3D and Quake, as well as launched Kodi 17 (Beta 6) in the demo video below. Well it is ironic that a retro games devices software with Doom, Quake, Wolfenstien 3D, Duke Nuken 3D and others runs using Armbian. 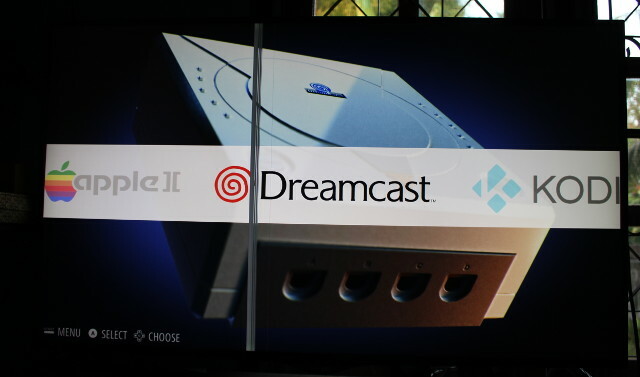 I have often said Arm Android media TV boxes need Doom style 3D games to push them forward. Only to get sneered at by folk Like tkasier a Armbian moderator, contributer. tkasier also said you will be hearing less of theguyuk (thats me 🙂 ). And his pet project is being used for games and software that adds piracy addons! If I remember correctly the old Doom came out around the time Linux did. The 640k barrier was an issue with Ms-Dos/windows machines(say you had 2mb. Ram, only 640k of it was utilized to its fulllest so to speak). I believe DOOM had to utilize new OS strategies at the time. I remember playing Doom on a Ms-dos emulator on my late 90s linux machine. What are the back doors that are fixed, what does it refer to ? he means security fixes like removing debug code left by developers (“rootmydevice”), dirtyCOW fix, removing part of weird ioctl code from VPU driver which allowed much more as intendet but it is not needed otherwise. The backdoors were a series of privilege escalation vulnerabilities through the /proc interface. It was a debugging mechanism so not a real backdoor per se. Sorry about that. Probably a character encoding + copy/paste issue. Fixed now.